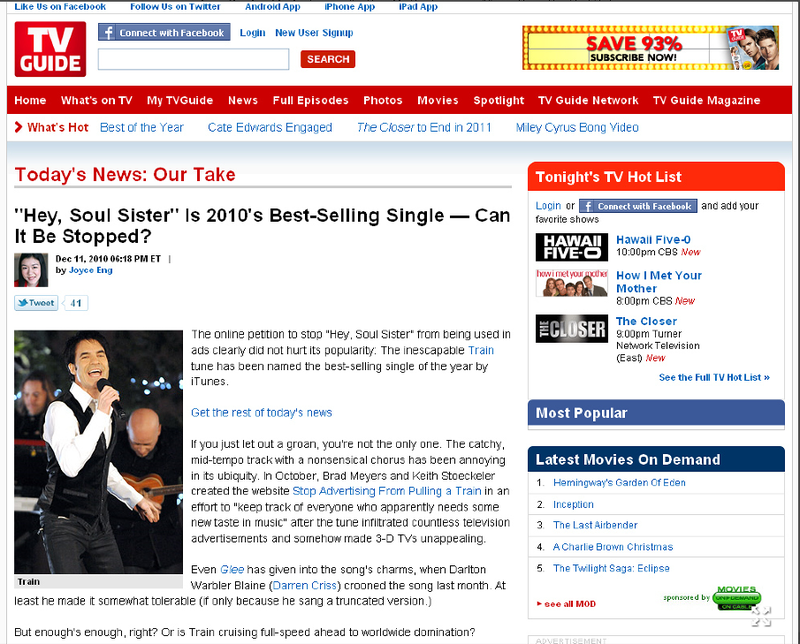 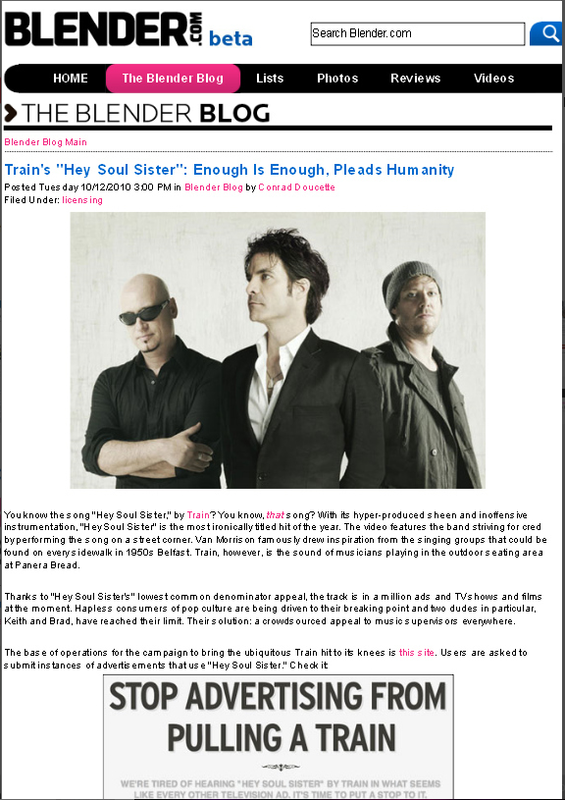 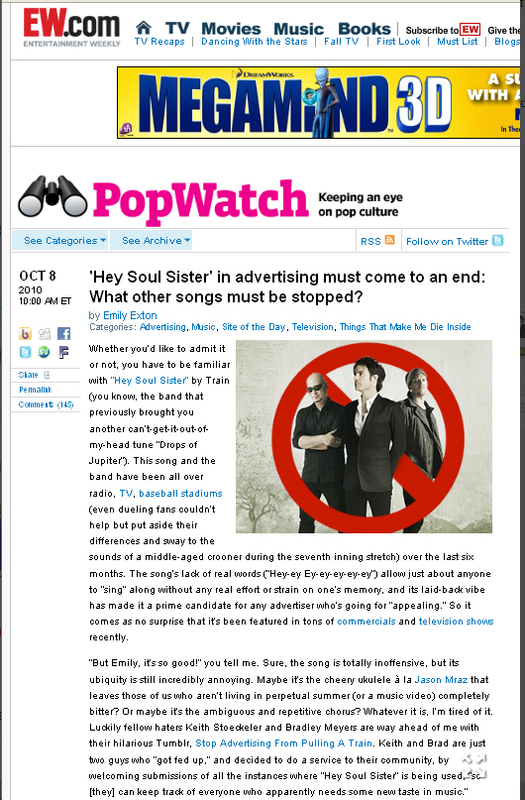 On October 3rd 2010, I tweeted about my disgust for hearing Train's song "Hey Soul Sister" as the music in two back-to-back television ads. 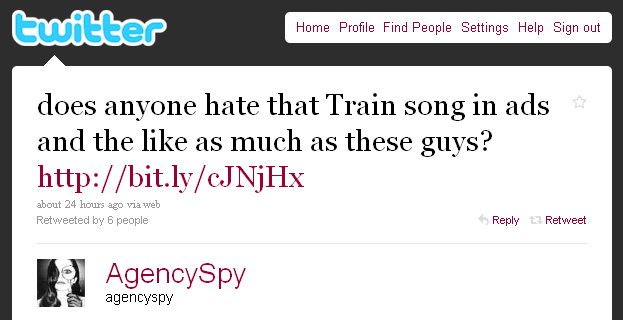 Brad Meyers responded to that tweet. 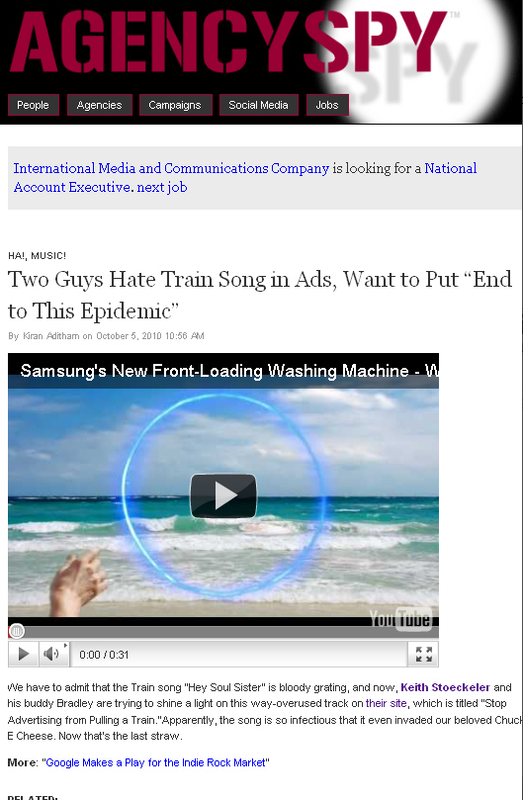 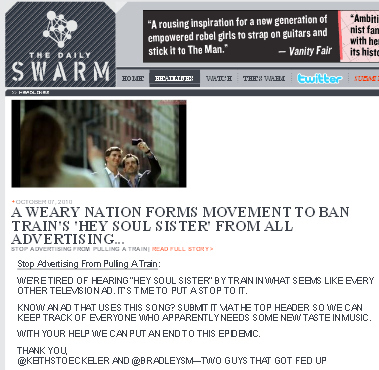 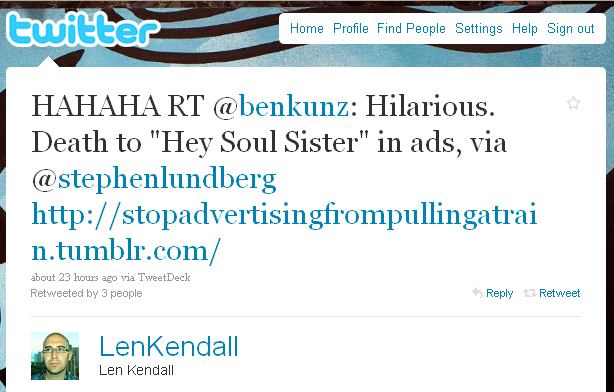 Three tweets in total between two guys who had never met before (and still haven't) was all the spark needed to create "Stop Advertising From Pulling a Train" -- a blog that showed all the ads Train's "Hey Soul Sister" was the music for, and asked the advertising community to stop putting that song in their advertising. 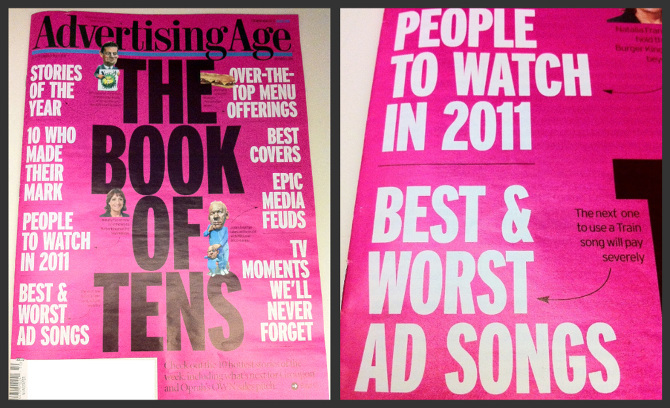 It was fun to take over the advertising and pop culture world for a little while, and get picked up by everything from Ad Age to CNN and Entertainment Weekly.